This title includes full-sized plans for 8 canoe designs, most of which are the author's own adaptations. The step-by-step directions are accompanied by more than 100 photographs and illustrations. Covering everything from safety in the boat to shop repairs, Gil Gilpatrick thoroughly explains the whys and shortcuts learned from his experience in the shop and on the water. A Maine guide, he uses his own canoes and tests their performance on the challenging Allagash River every summer. 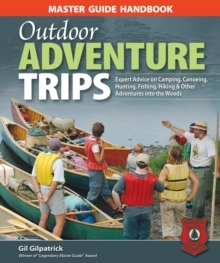 It includes full-sized plans for 8 well-proven canoe designs, most of which are the author's own adaptations. 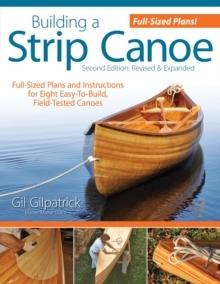 Step-by-step directions for building a canoe from start to finish are accompanied by more than 100 photographs and illustrations.